Local Handcrafted Bird Feeders & Bird Houses Featured at Northwoods Hardware Hank! SPOONER, Wis. -- Local Handcrafted Bird Feeders and Bird Houses featured at Northwoods Hardware Hank. 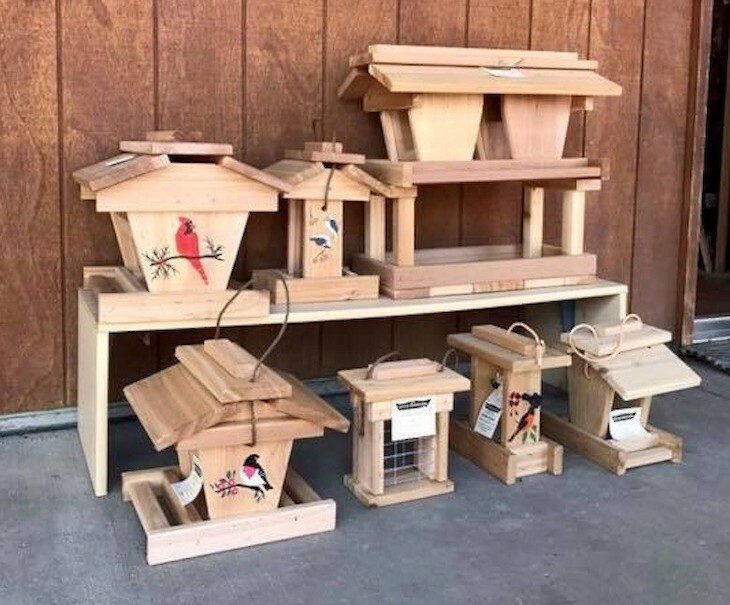 Winter Woodworks out of Winter, Wi specializes in handcrafted red cedar bird feeders including suet, platform and hanging feeders. They also craft bird houses and Wildlife feeders. We carry over 10 of their most popular creations, come check out the selection. Mention this ad when purchasing a Winter Bird Feeder or House and receive a free 20lb bag of bird seed or 4 suet cakes.